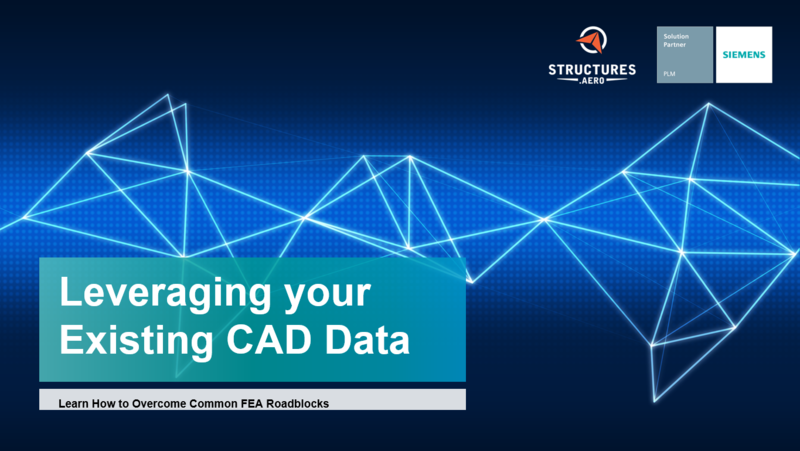 82% of companies import CAD data from multiple sources. Femap can import geometry from any major CAD package and has robust tools to clean up dirty geometry and idealize it to be the basis of the finite element mesh. Using an existing CAD model to help build the simulation model simplifies the modeling process. Femap makes it easy to import your existing CAD data, regardless of the source, by being CAD neutral. Femap supports all major commercial CAD programs and is kept up to date with new CAD product versions. The modeling engine is based upon the Parasolid modeling kernel, which is used by Solid Edge and Solidworks. 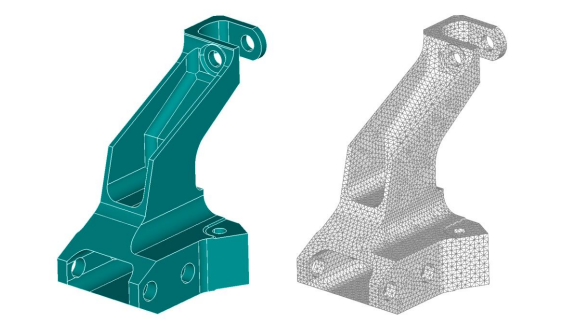 When you import your CAD geometry, it might contain more detail than simulation requires. 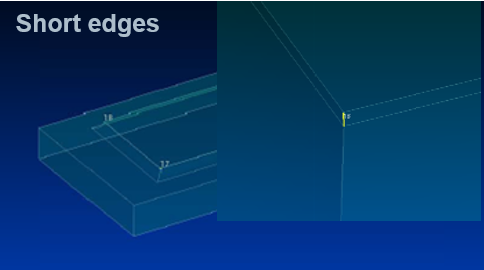 For example fillets, chamfers, and small holes may be too small to be of any significance to the model but require overly detailed mesh which can increase your file size. The CAD model may also contain elements, such as sliver surfaces and short edges, that will lead to the creation of badly shaped elements. 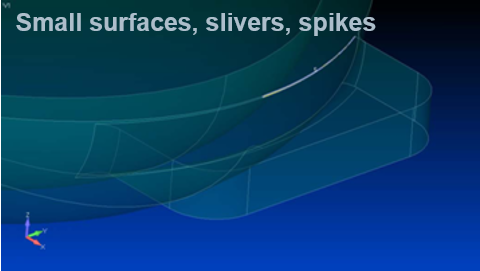 Femap remedies these problems with tools that can remove or de-feature insignificant detail, as well as tools that locate and remove bad geometry. Breaks the surface geometry surrounding a hole into four map-meshable regions. Uses offset curves to create map-meshable regions around holes. 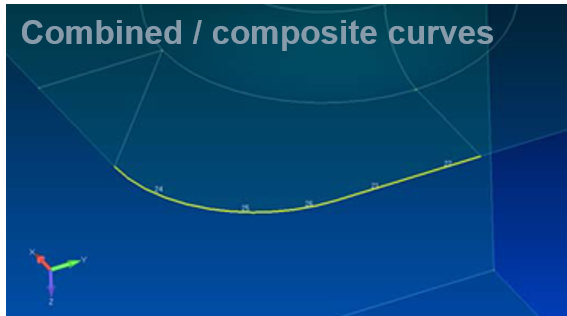 Create map-meshable regions around complex geometry with multiple curves. Split large surfaces into smaller ones to help align the geometry and create surfaces that can be map-meshed. Femap includes CAD geometry idealization and visualization tools that allow you to create smaller and more accurate models. The mid-plane extraction tool deals with thin-walled solid models. It extracts the mid-planes of the solid walls and meshes them using shell elements – creating smaller and more accurate models of the structure. Beam element modeling tools allow you to determine the physical properties of a cross section you define and view the beam elements as if they were solids, making it easier to check beam orientation and offsets. Interactive editing tools let you move, remove, and edit entities interactively, allowing you to see the effects of your edits and correct them on the fly. GustoMSC manufactures offshore drilling vessels that need to withstand harsh working environments, support heavy drilling equipment and offer decades of operation. 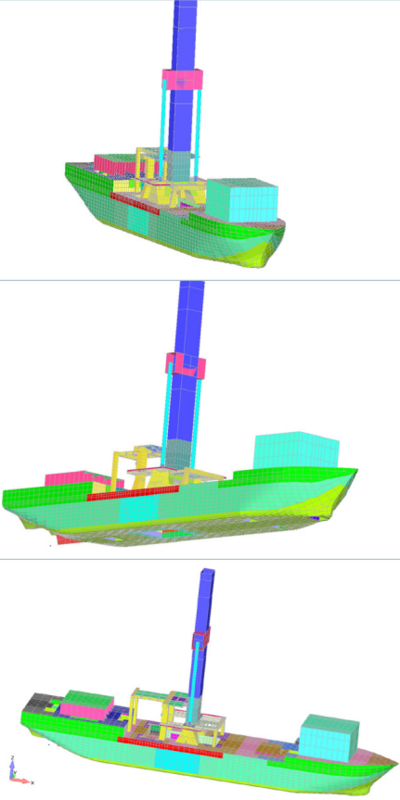 GustoMSC advocates the use of geometry idealization with the use of beams and plates on hull structures that are much too large to rely on automatic solid mesh generators. Femap’s geometry idealization tools combined with its application programming interface capability allowed GustoMSC to find and eliminate potential design problems very early on in the design phase. This webinar will look at common problems that occur when attempting to utilize your existing CAD to create an FE model.